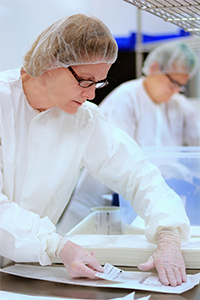 Final packaging and labeling of finished products such as consumer products and surgical devices are critical step in assuring that product gets to the market properly. That it why we created a separate and dedicated facility for this part of the process. Innovative packaging also now often serves a functional purpose and represents the true “face-of-the-customer” on new products. Our customers have an extreme level of confidence in our capabilities as we are the last ones to see their products before their customers do. They trust Cadence as one fully accountable partner using integrated and advanced technologies to package their new products. Our packaging expertise lies in designing, developing, and validating new packaging and related processes in compliance with the appropriate regulatory standards. This includes understanding complex needs for pouching, labeling, sealing, shrink-wrapping, and boxing. 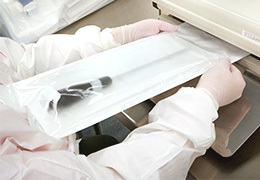 On a side note: One of the most common issues our customers have with sharp products relates to improper handling of the products during their final assembly and packaging processes. Cadence uses custom packaging means and can also provide the final assembly as a service to minimize these issues.